A new photograph is making its way around the internet, bringing to mind the famous “dress” and wall cigar optical illusions. 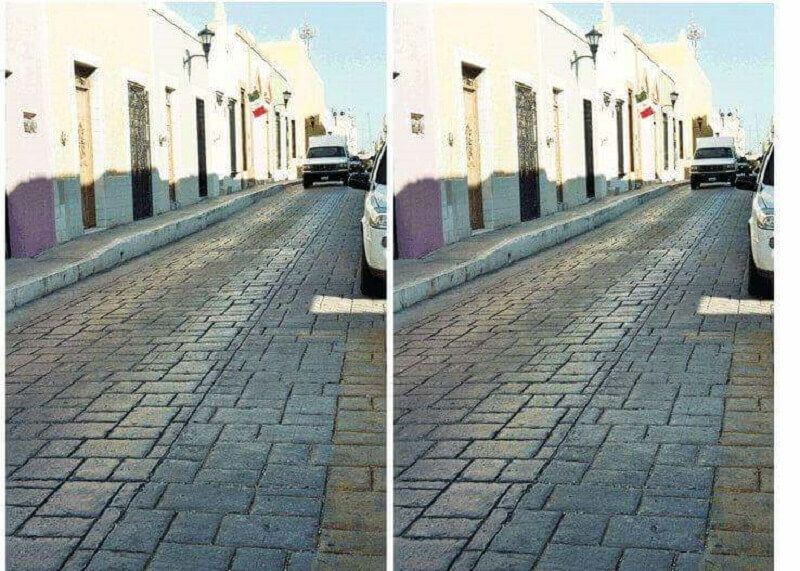 In this case, there are two pictures of the same road, but while one of them looks to have been taken from a different angle or height, they’re both exactly the same. The photographs have been shared on Imgur and Reddit, where the majority of users admit their brains are telling them they're two different images. “For me it looks like the roads are going in different directions, like one road forking off. It’s hard to believe the two streets are actually parallel,” wrote redditor jerrydisco. Another Reddit user, Shroffinator, helped prove the two photos are the same by labelling each one and layering them on top of each other. So, why is it so many people see different images? The optical illusion comes from the way the two roads appear to converge at the bottom of the photos. The brain interprets this as one single image containing two paths coming together, which is why the two pictures don’t appear perfectly parallel. A similar effect is found in the famous ‘café wall’ trick, which can create an illusion where the rows of horizontal lines taper at one end. For anyone who didn’t use the internet back in 2015, a photograph of a dress went viral as people argued over whether it was gold and white or black and blue. The color was eventually confirmed to be the latter. Another optical illusion that still fools many people is the image below. While it initially looks like a wall with large gaps between the bricks, there’s actually is a cigar sticking out of it. Once you see realize the object is there, it’s almost impossible not to see the cigar.